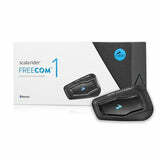 Click here to be notified by email when Scala Rider Freecom 1 Bluetooth System - Single becomes available. 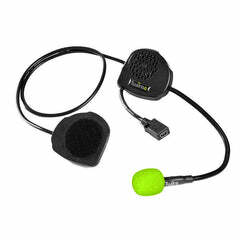 The Scala Rider Freecom 1 was designed with solo riders in mind, keeping you connected no matter where you are while the sturdy waterproof and dust-proof control unit makes communicating in even the toughest conditions easy. 40mm slimline HD stereo speakers are supplied with every kit as a step up from the previous model to ensure that you hear everything clearly whether thats commands from your GPS or your music. 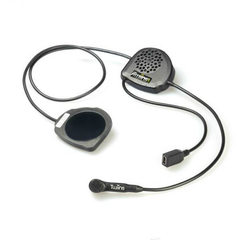 The Freecom 1 also features a 2 channel bluetooth system that allows you to connect to 2 seperate devices from the same headset such as your mobile phone and a navigation system. 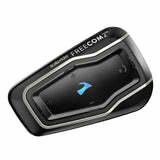 With AGC technology built-in, the volume of your Freecom 1 automatically adjusts according to background noises and riding ambience. 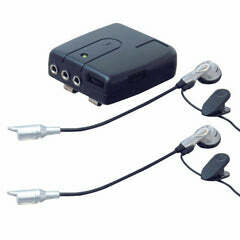 With safety in mind, voice activation technology (VOX) takes care of answering calls hands-free. Although all of these features might sound like a lot to handle, that's not the case thanks to the Cardo SmartSet mobile app which offers simple software upgrades and extra options for configuring the settings on your device from the comfort of your home or on the fly at a fuel station. By purchasing your Scala Rider system from LDMotorcycles.co.uk you are covered by a 2 year warranty that is not available on purchases made through auction sites or from companies overseas. Cardo are an acknowledged leader in the world of motorcycle communication systems, pioneering, designing & developing the Scala range from their headquarters in Pittsburgh USA since 2004. Working with other world leading brands in the motorcycle industry such as Shoei, Schuberth, Ducati, Bell & HJC, Cardo specialise in supplying only the best in Bluetooth motorcycle communications.